My friend and client Mark Andrews inherited his Uncle Bill’s home after Bill passed away at the age of 93. I met Mark at the home in late May (almost a year after Uncle Bill had passed), and it was difficult for Mark to even be in the home. He and his sister had sorted through some personal items, but the home was still filled with life’s treasures we all gather along the way and many good memories and stories (we would later find out). Mark missed his Uncle. He gave me a quick tour of the home and then we discussed how to proceed. Because I had previously sold a home for Mark, he knew what to expect from me. Before I had a chance to open my mouth, he firmly informed me that he would NOT be removing wallpaper or pulling carpets to expose hardwoods – he just wanted the home sold swiftly and painlessly. I asked Mark for a key to the home and we parted ways for the day. And, I am sprinkling photos of the home throughout this story of our journey - may you enjoy the glory. I immediately called my friend Bernie from my car and said, “you gotta come see this amazing house.” It was like walking into a treasured time capsule. This home was a true anomaly in a beautiful midtown neighborhood – a TRUE and VINTAGE mid-century modern ranch home built among many smaller bungalows. The lot size was about 3/4 of an acre and looked like a beautiful park – huge for that part of town. Many involved in the process of selling the home have agreed that we’ve never seen a home better constructed – every detail thought out was properly executed – quality finishes in each and every square foot. So, Bernie and Mark and I met for coffee at Mark’s home on June 7th and formulated a plan. Well, it wasn’t really much of a plan – Bernie just kept telling Mark, “I’ll take care of that.” And she did. She went above and beyond. Bernie read the abstract found in the home. She’s quite a history buff and each item she found documenting family history was a treasure to her. She began documenting as she continued sorting. She LOVED being in this home. Bernie didn’t stop at researching the value of items in the home that she would sell. She documented the marriage and travels of Mark’s grandparents, how and when they earned their wealth, the history of their children and the roots of this Greek immigrant family – and how this family embedded themselves in the Tulsa community. It wasn’t just facts – she reached back deep into the history of their souls. The short version of the home history is that Uncle Bill designed this retirement home for his parents while he was in high school at Cascia Hall. It was built in this particular location because Bill’s father wanted to be close to the bus route on 11th Street that would take him to his downtown office, eliminating the need for him to continue to employ a chauffeur. Bill never married, so he lived in the home with his parents – and after their deaths, his two divorced sisters moved in as well. So, three siblings eventually lived there – none of whom had children. Mark’s father George was the only child of the four children born to Constantinon (Gus) and Helena Andriopoulon who had children. You can read more family history in my blog post which is linked at the bottom of this post. Soon Bernie realized that this home filled with treasures from its many inhabitants was too large of a job to take on by herself. 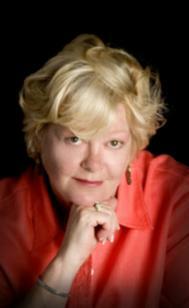 She called upon long-time friend experienced in estate sales, Cindy Everett Pollack, to assist. The two of them worked tirelessly to sort, research and price items. The more they learned, the more they fell in love with the home and its endless treasures. As they got closer to the opening date of the estate sale, I ran into a colleague at my office, JoAnna Dorman Blackstock, who I knew to be a mid-century modern buff. I told her about the house, the exquisite finishes and the beautiful furnishings there. JoAnna rushed right over, checkbook in hand – and was as enamored over the home and all that was in it – just as everyone else who had seen it. I’m not even going to tell you how much JoAnna spent that day – before the sale ever started, but the awesome thing is that JoAnna serves on the board of Tulsa Modern Architecture. She called me immediately after seeing the home to tell me that her group would feature our home in their monthly “Mod of the Moment” tour – which turned out to be quite a catalyst in spreading the word about this virgin vintage MCM treasure. The estate sale was fabulous and we met so many interesting people. I only dropped in twice a day to feed the troops and shop a bit. Once the sale was over, Bernie and Cindy immediately began preparing the home for the Mod of the Moment tour. Bernie called in an electrician and a plumber to fix a few things. She had the carpet pulled which exposed the never-used hardwood flooring. Of course, once the hardwood floors were exposed and refinished, the home looked as if it had taken in a huge breath of fresh air. Bernie hired expert cleaner Laura Cox who shined that home up with a toothbrush. Bernie had reserved vintage furniture from the home to use in staging – the best pieces of furniture original to the home. She and Cindy staged the home meticulously – they recreated the beauty it was originally. Sadly we did not take “before photos,” but the after photos will amaze you anyway. What I haven’t mentioned is how this journey had changed our lives thus far. Mark watched the transformation of his family’s home with such pride. What was once a home that brought grief and sadness to him became a home that made him smile with fond memories. He brought his camera over and began taking photos for his own collection, and he attended one of the events held there. He was suddenly participating in what he originally wanted nothing to do with. Bernie and Cindy practically lived there for months, and they took such ownership and joy in its restoration. Cindy met a neighbor she is still dating, and they are a cute couple – part of what made this a life-changing journey for some. The folks from the Tulsa Modern Architect group toured the home on August 10th, and we hosted an exclusive Mad Men cocktail party for Realtors on August 12th. Team photographer extraordinaire, Leslie Johnson snapped photos on the 14th and we went on the market on the 15th. Because blogging is an integral part of my marketing efforts, I wrote a blog post about the home and some of the family history – and within days, we received a request to be featured in the national Retro Renovation magazine. The story they did on this home was titled, “Tulsa time capsule with incredible Asian-meets-Frank Lloyd Wright décor.” Trust me, people everywhere were talkin’ about this amazing home. My friend Peggy Pianalto attended both the estate sale and the Mod of the Moment tour. She took a friend to lunch who was sort-of house hunting. Peggy convinced Cheri that she needed to look at this home and sure enough, Cheri and her husband Gary and daughter Eliana looked at the home towards the end of the month and wrote an offer. Everyone who walked through the doors fell in love with the home. My repairman Frank called after going over to bid on repairs – and he couldn’t stop talking about the house. He told me that in all the years of repairing homes across Tulsa, he had never seen a home that affected him emotionally. And, that’s the thing about this home – every person who entered felt some passion or attraction or connection to the home. The needed repairs were minimal, but there was one unattractive clean-up job that my friend Chris agreed to tackle. Apparently a possum had been living in the attic and had both defecated there and urinated on the insulation. So, all of the insulation had to be removed and the floors had to be cleared and sanitized. Obviously no contractors fighting over this job. Chris slowly and steadily completed the work and when I paid him, I added a little extra money – mostly for his conscientious work and positive attitude throughout. He called to thank me for the job and cried – telling me that the money he earned would enable him to travel to see his children this Christmas – something he had been unable to do for several years. When I heard Chris’ tears over the phone, I smiled and felt something I had never felt before about a single real estate transaction. THIS real estate transaction was special. It enabled a lot of people to make much-needed money. It provided Mark a remarkable gift of seeing his grandfather’s home restored. Friendships and meaningful memories were created there during the sale and restoration process. A wonderful family who will HONOR this homes’ heritage will fill it with love. It reminds me that it does take a village – or a damn fine team – to complete a project to perfection. And while I miss Uncle Bill, I see his twinkling blue eyes looking down from Heaven and saying, “I knew Lori could make this happen.” And he is pleased. So, that’s our journey – and a little bit about all who were part of it. Of course, I can’t name each person, but those reading this know who they are and what valuable part they played. Read more about the home here and also read more about the family history (compiled by Bernie). There’s really no appropriate way to end this story other than I was HONORED to lead this project and be part of the success. My long-time business philosophy of surrounding myself with competent, dedicated and passionate team members proves to hold true, again and again. Special thanks to Mark for entrusting me with the sale of his family’s home and special thanks to Bernie for being the unique and visionary Bohemian treasure salvager that she is. You guys ROCK. This home ROCKS too. And Cheri and Gary and Eliana – we will be visiting you often! !